Film Dope no.7(1975:Apr.)-no.50(1994:Apr.) We are missing the first 6 issues, and I believe no.50 is the last issue (I know it ceased some time in 1994). This is a British publication, the obsessively fussed over, though sometimes neglected love-child of David Badder & Bob Baker (Markku Salmi is credited as a co-editor on issue 7, but not after). What is the Dope? 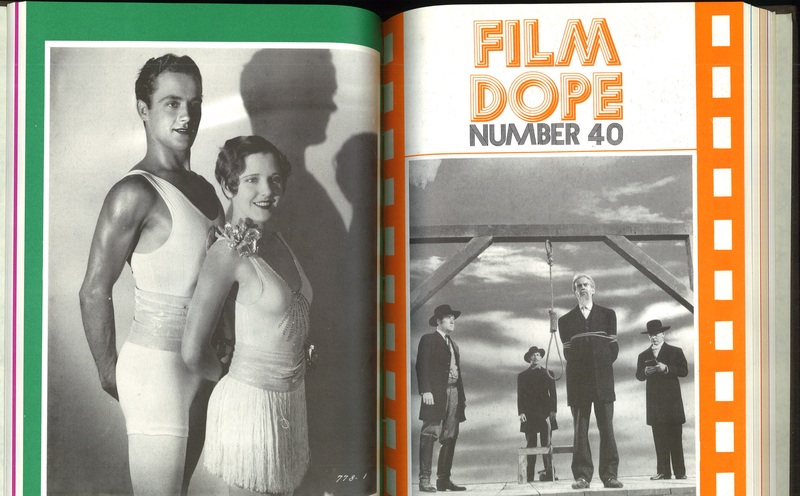 Each issue of Film Dope provides information on 30 to 40 directors, actors, cinematographers, and writers. An exhaustive list of credits (mostly film and television, but also commercials) is given for each person that they profile. 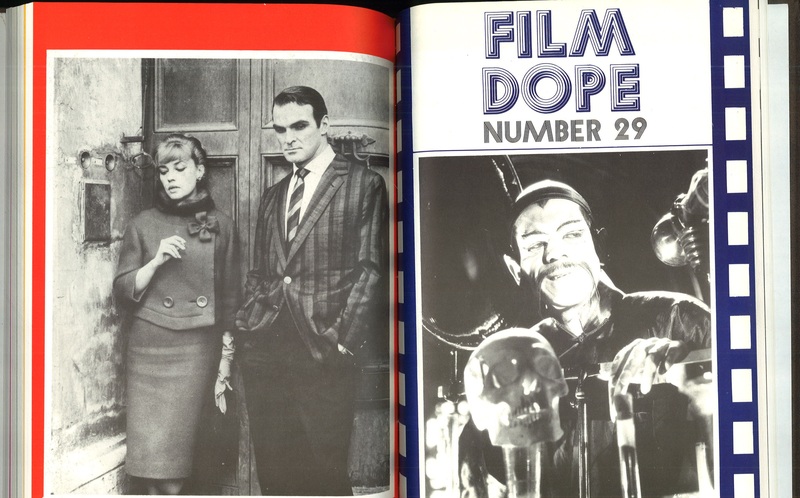 Now, if that is all that Film Dope provided, I would have not felt that it needed to take up precious space on our periodical shelves (even though they are beautifully bound, have great front and back covers, and a goodly number of production stills). Right: Charles Rogers and Jean Arthur in HALF-WAY TO HEAVEN (1929), d. George Abbott. Left: Addison Richards (left), Raymond Massey in SANTA FE TRAIL (1940). Production still by Mac Julian. If credits were all that Film Dope offered, IMDB and Wikipedia would have rendered this fine publication obsolete. What keeps this publication relevant, endearing, and worth having around are its format, its subjectivity, and its rich collection of primary sources of information. 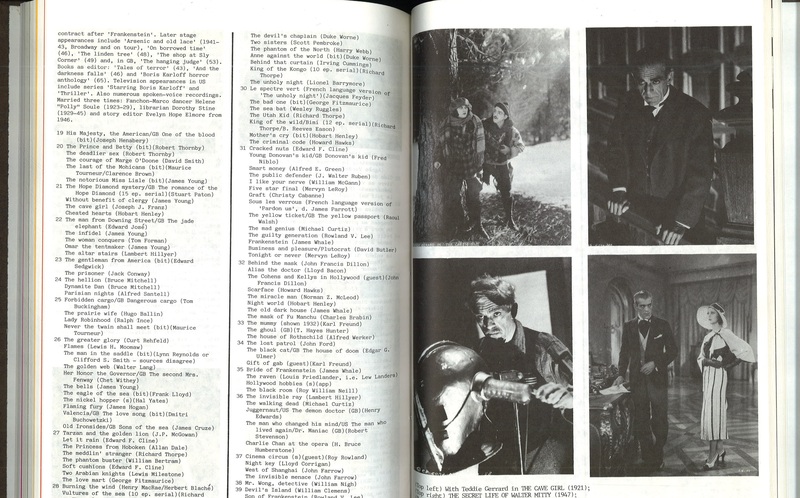 Issue 7 (April 1975) includes the following entries: Paddy Chayefsky, Nikolai Cherkasov, Maurica Chevalier, Marvin Chomsky, Montgomery Clift, Sean Connery and 33 others. Issue 50 (April 1994) includes the following entries: Al Pacino, Jack Palance, Dorothy Parker, Robert Parrish, Charles Parrott, Christine Pascal. The twenty years between those two issues chronicled people with last names that started with D to O. Sadly, they would never make it to R-Z, but what we are left with is a periodical that over the span of twenty years morphed into an encyclopedia. During that time they went from thanking the British Film Institute staff for “their patience and assistance” to thanking them “for [their] continuing financial assistance.” Obviously they were creating something of apparent value. 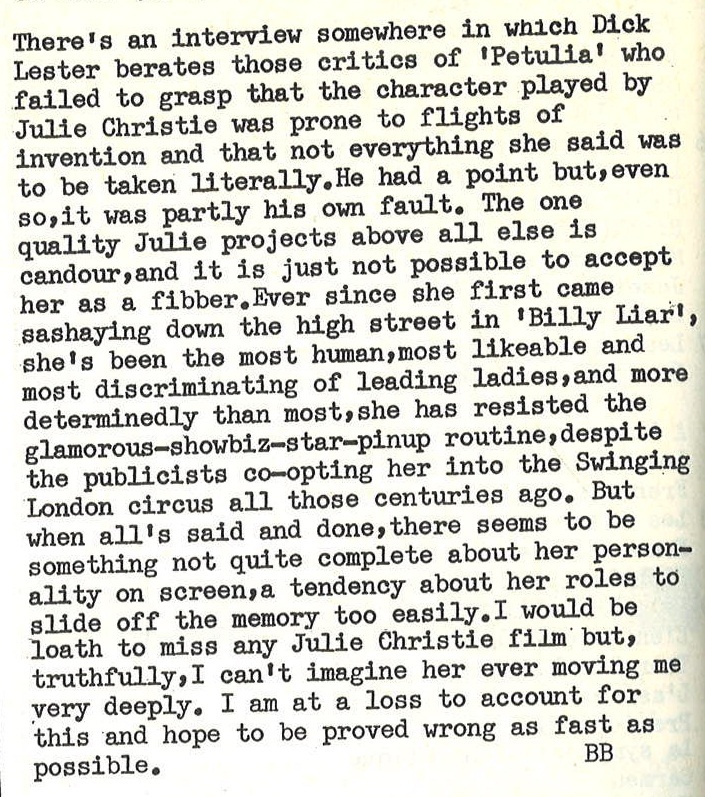 After lauding and defending Julie Christie, the ever honest film critic/hound is forced to admit, “I can’t ever imagine her moving me very deeply. I am at a loss to account for this and hope to be proved wrong very soon.” It’s informative but deeply subjective and gives a contemporaneous context of critical reception and in this case emotional barometer. The people that made it to these issues, though impressive in scope, are obviously not exhaustive of everyone that worked in the motion pictures in England and the USA up to that point. But the fact that it is limited and now static, lends the publication a curatorial quality. 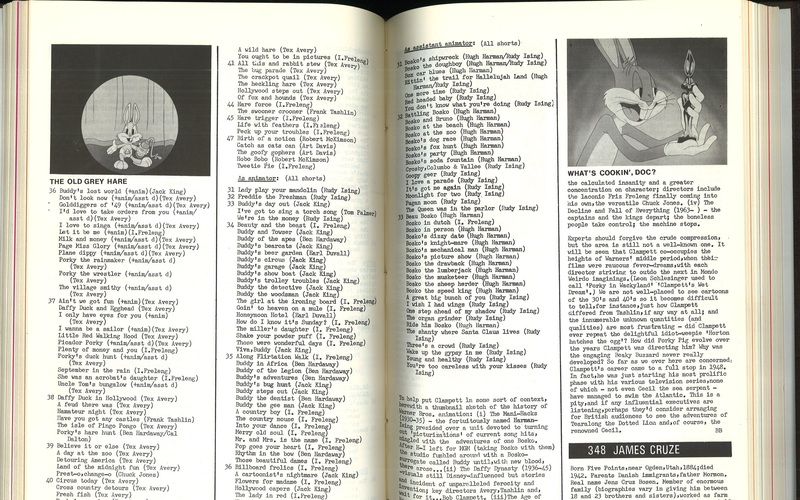 The scope is, however, quite large (say, maybe 1200 people in our 43 issues) and full of variety (from Bob Clampett to Boris Karloff). 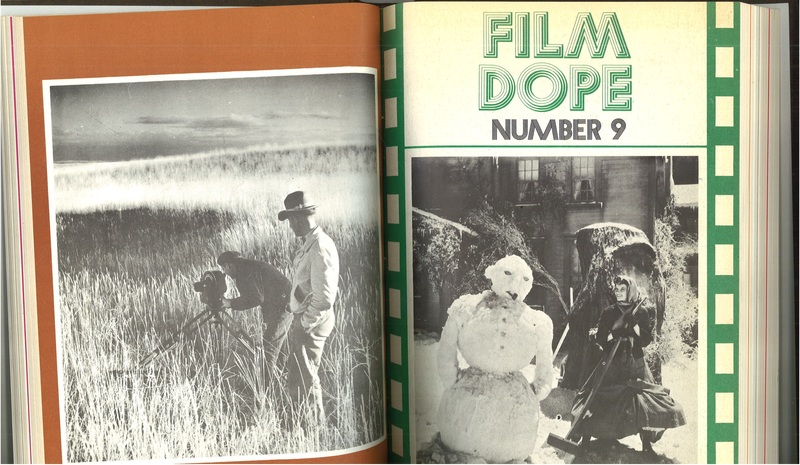 Film Dope is a marvel and a joy, not to mention a rich, important resource for film research.